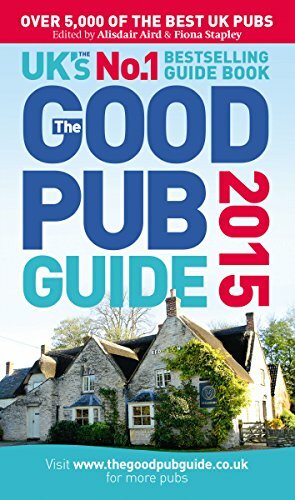 Buy The Good Pub Guide 2016 cheaply from Amazon. You too can earn money from writing articles by signing up for InfoBarrel. The Queen's at Freehay, Counslow Road, Cheadle, Staffordshire, ST10 1RF. Counslow Road, Cheadle, Staffordshire, ST10 1RF. The Queen's at Freehay is in the small village of Freehay to the south of the town of Cheadle, not far from the tourist attraction of Alton Towers. It has its own car park and would appear to be a former pub. There are daily specials on a blackboard as well as a main menu. There are offers of £2 off main meals Monday and Tuesday, Wednesday is Steak and a Sweet where two steaks (including a chicken dish) and two sweets can be purchased for £30 and there is a traditional Sunday Lunch served on Sundays. The meat is sourced from a local Staffordshire Moorlands butcher and many of the other ingredients are locally sourced when possible. On entering there is a small bar area with some seating, allowing you to just have a drink if you want. Otherwise, you are asked if you wanted any drinks first before being shown to a table. The Queen's was visited on a Sunday evening and was fairly quiet, but many of the people there seemed to be regulars. On the table were salt and pepper, placemats, cutlery and paper napkins as well as a vase of flowers. The interior had all been painted white, including the wooden beams in the ceiling. As the ceiling was quite low, if they hadn't been painted, it would have seemed a bit oppressive. The drink ordered was a pint of draught Pepsi, which was as good as can be expected from a draught soft drink. The starter was Grilled Goat's Cheese, which was goat's cheese marinated in garlic and chives on top of a rocket, radicchio and crouton salad which had a garlic and chive vinaigrette dressing. It was a fairly large round piece of toasted soft goat's cheese with the rind on that had quite a strong flavour to it. The flavour of the dressing was not that strong though. The cheese was lightly toasted so it was just starting to melt, but hadn't got any further. The cheese and the salad made an interesting combination of flavours. The main course was Queens "Harty" Chicken, which was a poached breast of chicken that had been filled with Stilton cheese and wrapped in crispy smoked bacon, served with wholegrain mustard sauce. The chicken had been cut in half at an angle after cooking and was served in the centre of the dish surrounded by the sauce, one piece standing up and the other lying down beside it, with the sauce covering the rest of the plate. The Stilton in the chicken was not that strong tasting, which was good as it could have overpowered the other flavours if it was, and the mustard sauce had a noticeable taste. The chicken was cooked perfectly, and the taste of the bacon was a nice counterpoint to it. This was accompanied with a choice of vegetables or salad, and a choice of chips, boiled potatoes or the special potatoes of the day, which in this case was sliced potatoes in leek, white wine, cream and parsley. The vegetables of cabbage, broccoli and carrot came in a separate dish, and the chips, which were chosen as the potatoes, were also in a separate dish. The vegetables had not been overcooked - they looked as if they could have been steamed - and the chips were perfect. Some brown sauce was requested which was brought out in a small dish on a plate with a teaspoon. A cheesecake was chosen as the dessert, which was the Cheesecake of the Day, which in this case was a New York style cheesecake that was served with fresh whipped cream and a fruit compote with lots of blackcurrants. Sometimes, the amount of fruit provided can be quite minimal; that was not the case here, as there was an abundance of them. The cheesecake itself was of a generous thickness and was nice. The cream was also of a superior quality, being fresh rather than spray cream or similar. The cost of the meal came to £26.40 including the drink. The Queen's at Freehay truly deserves the name gastro-pub, even though it doesn't appear to be one they are claiming. The food was not only tasty it was elegantly prepared, so it both looked and tasted good. The service was fast and friendly, especially as this is not a chain restaurant with pre-made dishes ready to go. The food is nice, there was ample parking, the restaurant itself was a pleasant place to dine and the cost was really quite reasonable for the quantity and quality of the food served. The Queen's at Freehay is a bit of the beaten path, but well worth visiting if you are in the area, and is highly recommended.